I decided with all those 7 hats coming in for me, I should probably make Bug a hat too. I had some malabrigo chunky sitting in my stash begging to be used, so I decided to find a pattern to fit it. 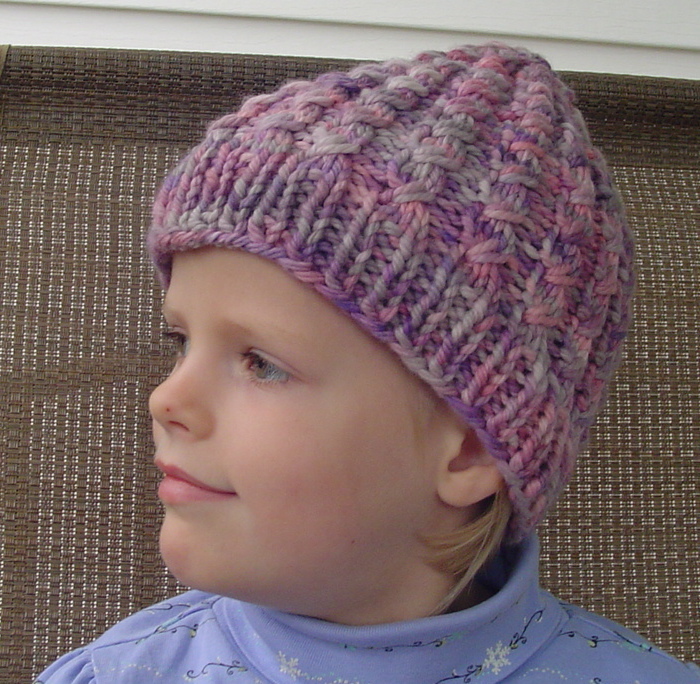 I found a lovely twisted stitch hat for children and knit the hat in a 24 hour period. I don’t love knitting hats, but this one was rather satisfying. I have some more chunky yarn in my stash and I think this would be a great pattern for knitting charity hats for the Hats off to Gaza group. 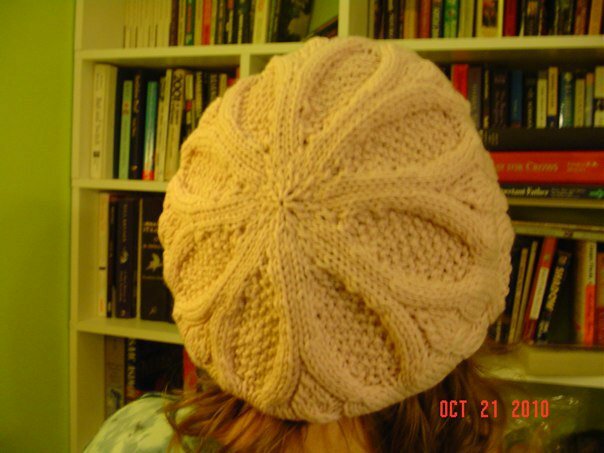 The pattern is Chunky Dean Street Hat. Those of you who have me on facebook know that I’ve been on a mad chase for beret style hats this year. 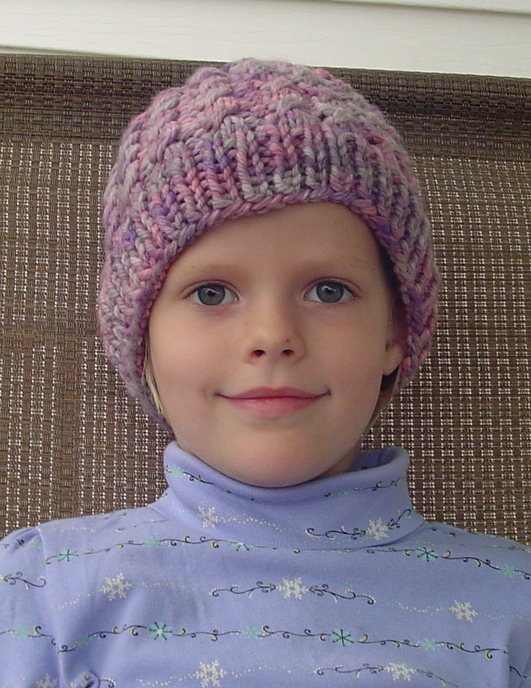 But I don’t actually like to knit hats. I jokingly posted on facebook that I needed to find myself someone to trade knitting with, because I wanted to own “ALL THE HATS.” It was a joke. Seriously. I never imagined it would produce 40 comments and 3 wonderful trades. And a total of 7 hats. Amazing! The first of “ALL THE HATS” has arrived. 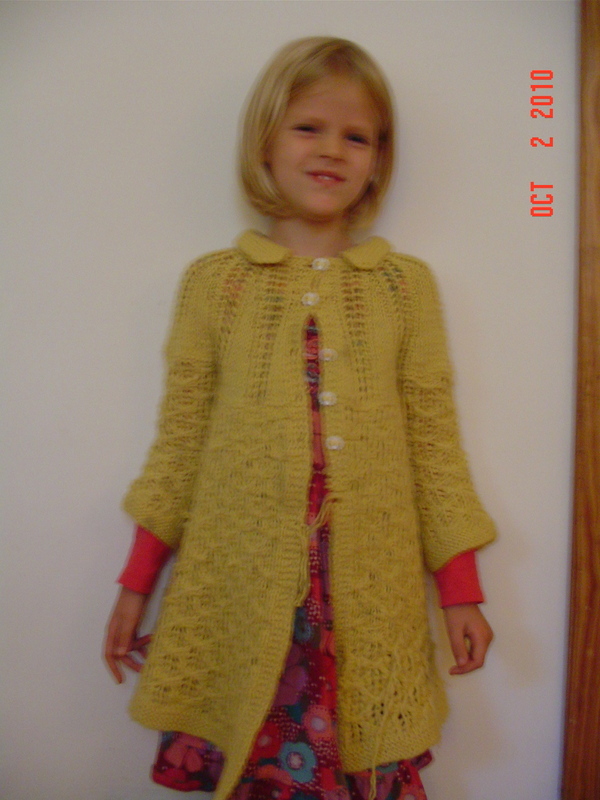 This one was knit by my friend Minnie, or dragonknitter. She will be receiving 2 pairs of socks in return for 4 hats. Isn’t that awesome? I could keep going, but I don’t want to exhaust the poor gal. The first hat is “Brambles” from knitty.com. 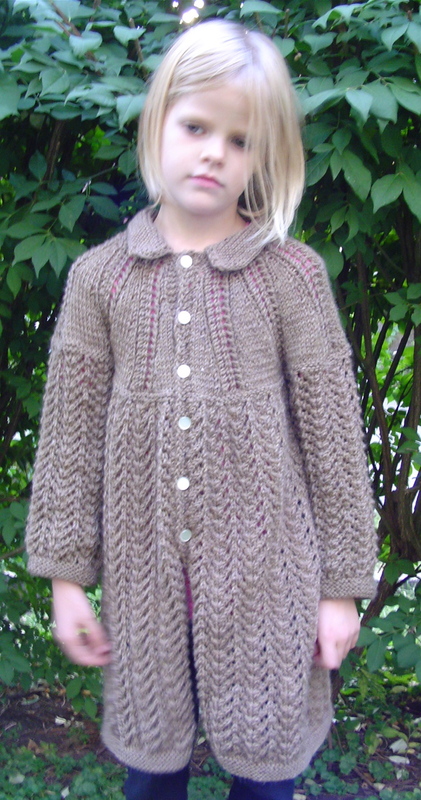 It was knit in cascade 220 in a light pink color that I used for Bug’s log cabin blanket. I had a lot left over. I will be kettle dyeing the other two skeins so that I don’t end up with 3 light pink hats, because that would just be a little insane. Isn’t that some pretty knitting? 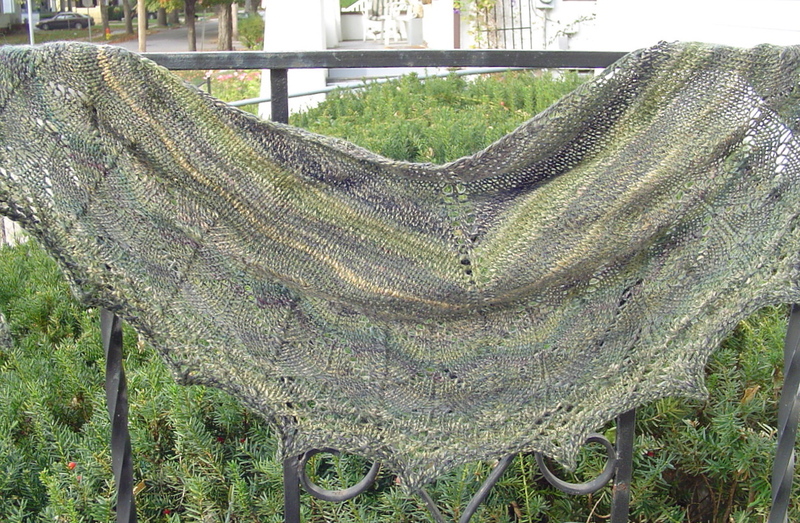 It seems all I want to do lately is knit small shawlettes. And out of handspun. I happened upon the traveling woman pattern, and decided to bring out some handspun for it. I used a 3 ply almost sportweight yarn that Carin from Round the Twist spun for me for a trade. I was a bit worried about the yarn amounts, but I had plenty left over! Now that this is done, I keep wanting to cast on an adult sized citron in handspun! This week I completed something that I finish only once every two years. Another successful conference has drawn to a close and I am absolutely exhausted. 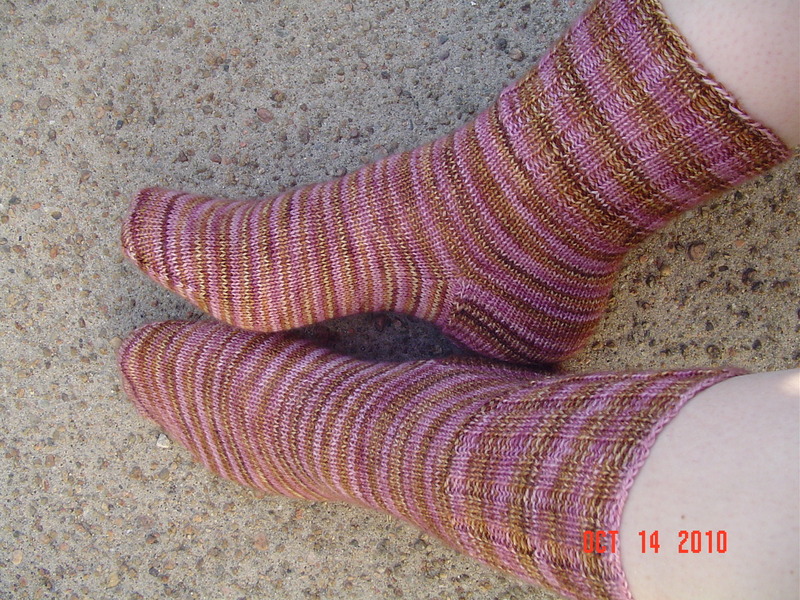 During the conference this year I knit a pair of socks. I know, you should be surprised! I’ve been uninspired about socks for quite some time, but these will be in trade for some hats. 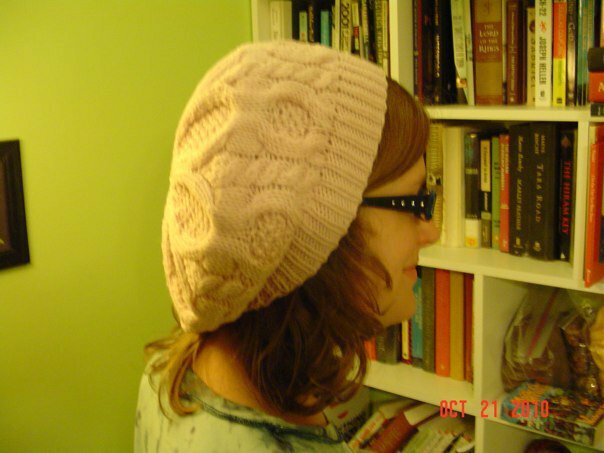 And if there is one thing I am less inspired to knit than socks, it would indeed be hats. Plus, knitting socks gives me something that is about as mindless as it can be while running a conference. I really have nothing else to say for now, my exhaustion is absolutely overwhelming. I am sure I’ll find something new and more interesting to knit soon! Miss Bug got her first sunburst coat last year. She wore it and wore it and wore it right out. It is too small in a very big way, has all sorts of snags and rips, and is just generally well used looking. Yet she insists on wearing that coat to school every single day. So I thought that it would be perhaps wise to make her a new one, and another size up. Unfortunately, I’ve knit the sunburst pattern stitch enough this year to know I wasn’t willing to do it again yet. So instead I decided to substitute the gull lace pattern for the body of the sweater. I used a yarn which I had left over, though I did have to purchase additional skeins. I only had about 25 yards left so that worked out well.